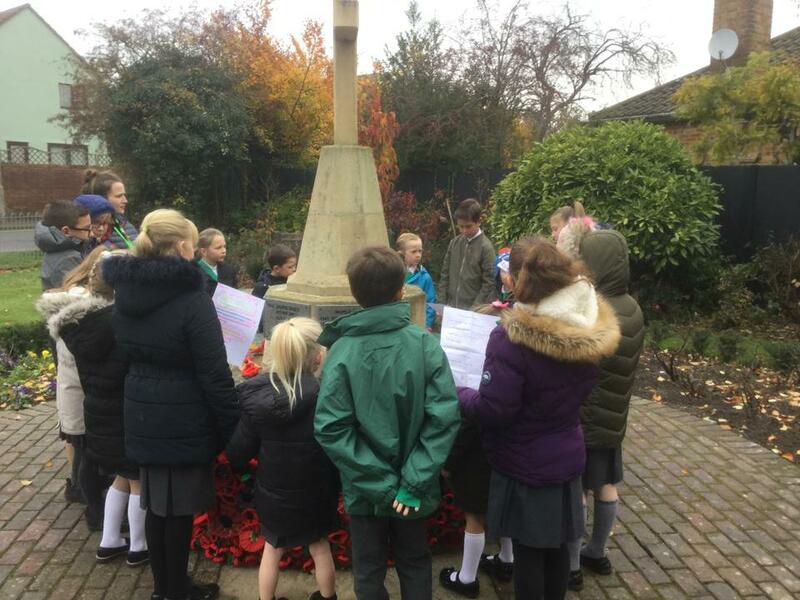 Elsenham pupils marked 100 years since the end of the First World War as they reflected on those lost or injured in conflicts. 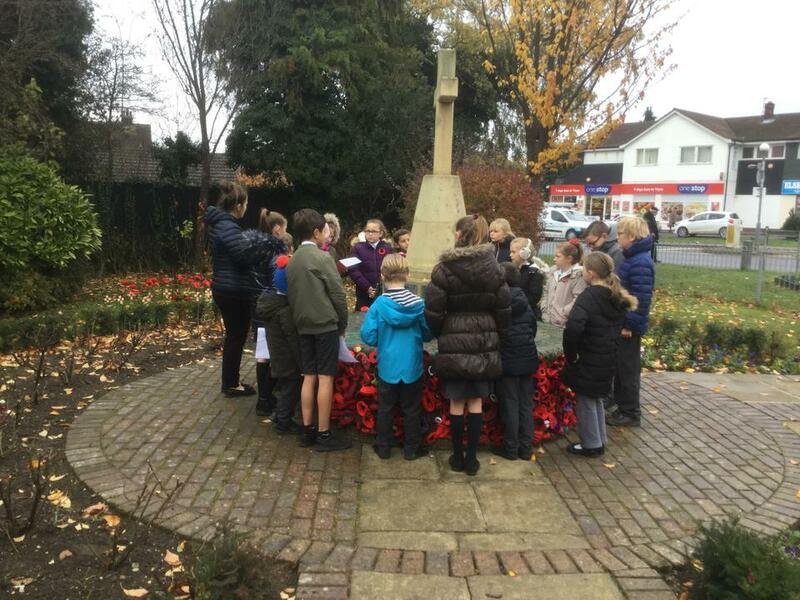 The School Council honoured those who died in war by paying their respects at the village war memorial. 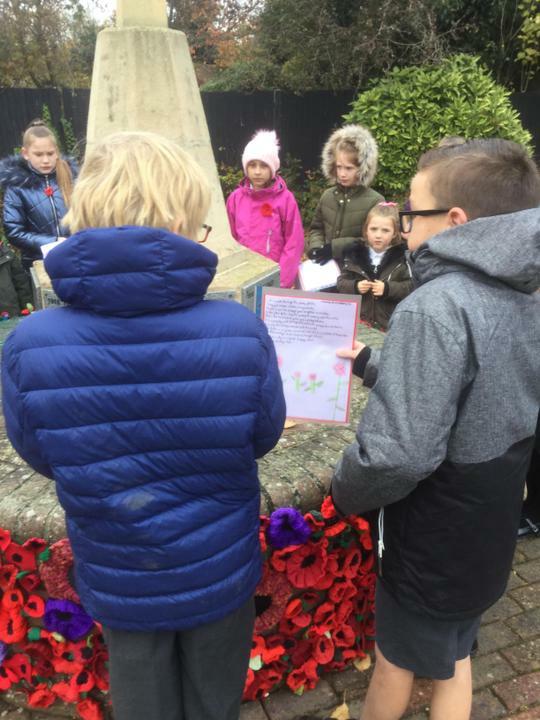 The children read poems they had written themselves and laid a wreath that had been created with the handprints of children in reception and Year 6. They then stood around the war memorial and observed two minutes’ silence. The whole school had an assembly led by the School Council members who reread their poems and the hall fell silent for two minutes. 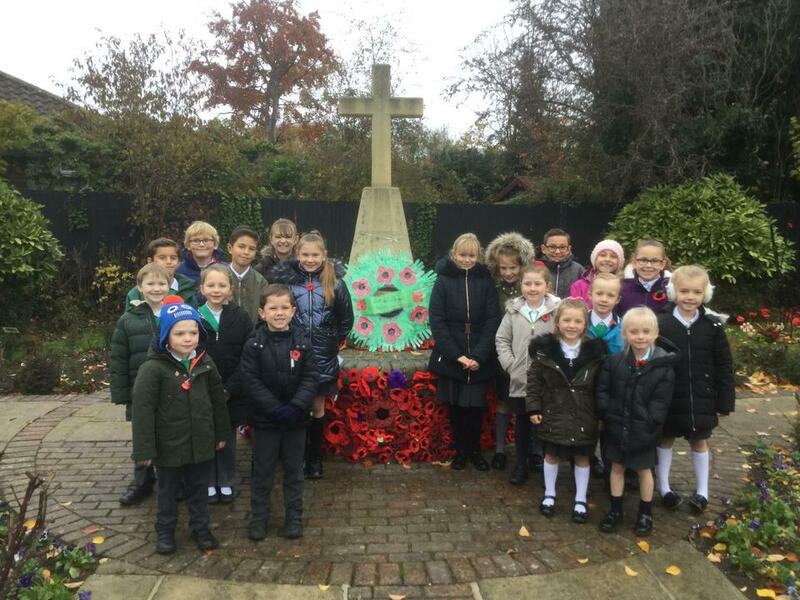 Pupils throughout the school donated silver coins, which they placed on a remembrance banner at the front of the hall. All of the money raised has been donated to the Royal British Legion.